Luring Clans troops at starting is one of the most important steps when you attack a village. If you fail, it will ruin your whole attack so bad. It is not hard to lure Clan Castle troops out without mistakes. In this guide, I’m gonna show you all common mistakes and the ways to deal with them. Have you lured out all troops? This is the most common mistake while luring troops out. Always make sure that you have lured all the enemy troops out before starting attack, even a couples of troop can ruin your whole attack. You can lure our some Archers and Wizards with your Hog Riders but it doesn’t mean the Clan Castle is totally empty. It takes time to the Clan troops all come out. Make sure that your troops can have enough time to lure them out. You can use 1-2 Giants or 1-2 Balloons to do that easier. In Clan Wars, the enemy Clan Castles are always full. Once you lure the troops out, count and make sure there isn’t anything left. Considering about bringing :poison: Poison Spell into the raid is not needed because It is the easiest way to kill Clan troops and you always can bring it into the attacks. The Poison Spell takes 1 spell space and the Spell storage capacities from Town Hall 8 are always odd numbers, moreover 4 Earthquake Spells can take down all walls (even number) so truly the Poison Spell rarely can ruin your attack strategies. After luring Clan troops out and grouping them, you can easily kill them by dropping the Poison Spell. You should take a look at these lists to find the best ways for dealing with them after using the Poison Spell. Don’t use your Clan troops to deal with the enemy Clan troops or you will cry. Why? Because your troops come out one by one from the Clan Castle and at the same spot. The enemy Wizards or Dragons can kill all your troops easily with couples of shots without losing a single unit. You can’t control your Clan troops placements. Using them for killing Clan troops makes no sense! For example, with Barch farming strategy, using Hog Riders in your Clan Castle is totally better than using Archers + Wizards to deal with Clan Castle. 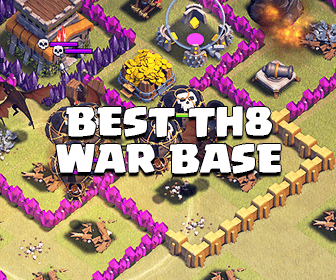 This is the second thing you need to remember when starting attack a base. Don’t use your Heroes to kill enemy troops unless you don’t have other troops to do that in your army. Always carry enough troops for dealing with enemy troops before starting an attack. Let’s do a simple calculation: Assume that the enemy Clans Castle is filled up by level 6 Wizards and you have 2 choices: Using Barbarian King or Archers to kill them. In addition, maybe you don’t know, an unit’s attack will be slower than usual If it changes the target. It means the more targets it has, the less total damage it can do. A level 6 Wizard deals 270 damage per attack and his attack speed is 1.5s/shot. Your level 6 Archer’s HP is 44. Your level 15 Barbarian King has 2402 HP. A Wizard kills an archer with just 1 hit and deals total 44 damage because Archer’s HP is 44. He wastes 226 damage for nothing. Once he kills an archer, he will change the target and his attack speed will have a bit delay. A Wizards deals 270 damage to the Barbarian King and doen’t change the target until the King is down. He wastes 0 damage and his attack speed isn’t delayed. Your Heroes are not tankers with high HP. They just attack a Clan troop at a time and also don’t have enough attack speed to take down the enemy troops. Even If you can remove all enemy troops, because you deploy your Heroes at starting, before other troops, the enemy defensive buildings will start attacking your Heroes right after that and you will lose them within seconds. You need their high damage and special abilities to deal with defensive buildings, not those troops. Conclusion: Never use your Heroes for this job. Other fact in game maybe you don’t know: The order Clan Castle troops come out = their rank in Barracks. It means Barbarians are the first then Archers, Giants, Goblins,… Dark Elixir troops come out after all normal troops and also base on their ranks. Clash of Clans is not only about how you attack, it is also about defense. 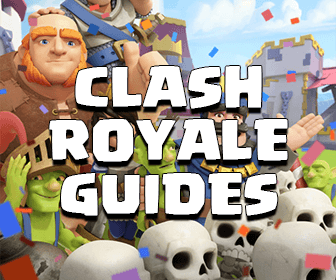 You should read the guide Best troops to deal with the Poison Spell to give your Clan the best preparation before every War. I hope after reading this small guide, you will be much more self-confident for the next Wars!